In 2016 alone, contractors broke ground on more than 1.16 million new homes in the United States. And while those floorplans work for most people, they’re not always ideal for homebuyers looking to reduce their carbon footprint. Only an energy-efficient home can do that effectively. So, why would you want to invest in an eco-friendly and energy-efficient house when you could pay less for a less efficient home? 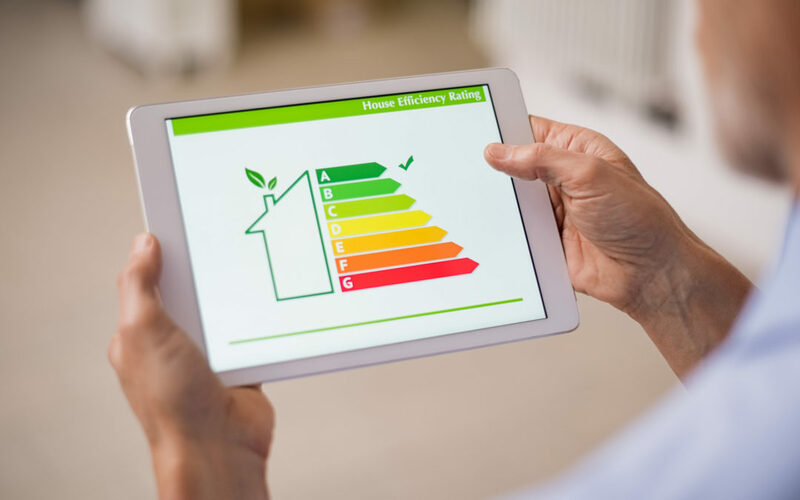 Here are a few fantastic reasons to buy a green home where energy efficiency is an important part of the entire design. It should come as no surprise that the more efficient your home is, the more money you’ll save on energy costs. This can make all the difference during those hot and humid Tyler summers. Believe it or not, the average household pays more than $1,200 per year in electricity costs. And the warmer it is in the summer and colder it gets in the winter, the more you can expect that number to go up. But that’s not the only utility cost you pay for. You also have to cover water, sewer, trash, and natural gas. The less efficient your house is, the higher those costs are. Energy efficient homes allow you to get the most out of your home without breaking the bank. You’ll save money by spending less on utilities every month. An energy efficient house is easier to sell than one with old inefficient fixtures and appliances. You’ll find more interested buyers and likely get more offers. After all, you’ve made the effort to put in the energy-efficient upgrades. Buyers often prefer a house they can move into without doing any work or waiting for renovations to finish. So, what does this mean for your asking price? It means you can increase it. The more in-demand a home is, the better its resale value. Keep in mind that the increase you’ll see depends on the overall market conditions. If there are fewer homes for sale than there are buyers, you’ll be able to get more for the house. Have you ever lived in a house that never seemed to stay comfortable? It’s because your heating and cooling system couldn’t keep up with the changing temperatures. With an efficient house, you’ll never have to worry about the rooms feeling too hot or too cold. Each appliance and system gets sized to the house. This means it has to work less hard (and use less energy) to heat and cool your home. And when the system can keep up with your thermostat’s setting 24 hours a day, you’ll be comfortable at all times. Every time you use an appliance, it experiences wear and tear. Over time, and the more use the appliance gets, the more the components wear down. For all homeowners, this means paying for maintenance and repairs to keep the systems running properly. But with an efficient house, you’ll be paying less for maintenance appointments. Why? Because you’ll schedule them less often. Efficient appliances don’t have to work as hard to perform their designated task. This means the components inside experience less wear and tear than those in older appliances. The less wear and tear your home sees, the less frequently you’ll need routine maintenance. And that means immediate savings for you and your family. Traditional homes require a lot of energy to simply exist. And all that energy increases your carbon footprint. Electricity may power your house, but it also pollutes the environment. The less you depend on it, the less you’ll contribute to the pollution problem. By building an energy efficient home, you’re helping save the environment for as long as you live in the house! Like it or not, humidity is a major problem for every homeowner in Tyler. And homes built with normal materials often struggle to keep the humidity outside where it belongs. At best, this makes the space uncomfortable. At worst, it can lead to a major mold problem inside the walls and attic. Buying or building an energy efficient home means indoor air quality is a priority. The systems and materials inside actively reduce allergens, filter the air, and maintain proper humidity levels inside at all times. This makes a huge difference for families with allergies and other upper respiratory conditions. You never know how much utilities will cost in the next ten or twenty years. And the more eco-friendly your home is, the better off you’ll be. Green and energy-efficient architecture use the least amount of utilities possible. This means your bills will stay lower than your neighbors even if the standard prices of utilities increases over time. And the more you can save over the course of your homeownership, the more you’ll have to invest in other interests. Every homeowner needs homeowner’s insurance. Without it, you’re responsible for paying the full cost of repairs if your home gets damaged by a storm, fire, or break-in. While you can save by bundling different policies, you can also reduce your monthly premiums by having energy-efficient upgrades to the house. Buying or building an energy-efficient house allows you to reduce your premium payments from the very beginning. And when combined with other discounts offered through your insurance provider, you could save hundreds every year. Finding the perfect house is tough. But that doesn’t mean it’s impossible. Think about the types of features you want in your ideal energy-efficient home. Then, schedule a consultation and let our designers bring your dreams to life. Choose between our existing floorplans or let us create a custom design tailored to your unique needs. No matter what you’re looking for, we’ll make sure the house is as green and energy-efficient as possible.